This little book, called A PRIMER OF INDIAN LOGIC, is primarily based on Annambhatta’s Tarka-samgraha and is designed to serve as an introduction, the Nyaya-Vaisesika literature in Sanskrit, but also to the study of Indian philosophy in its diverse systems. 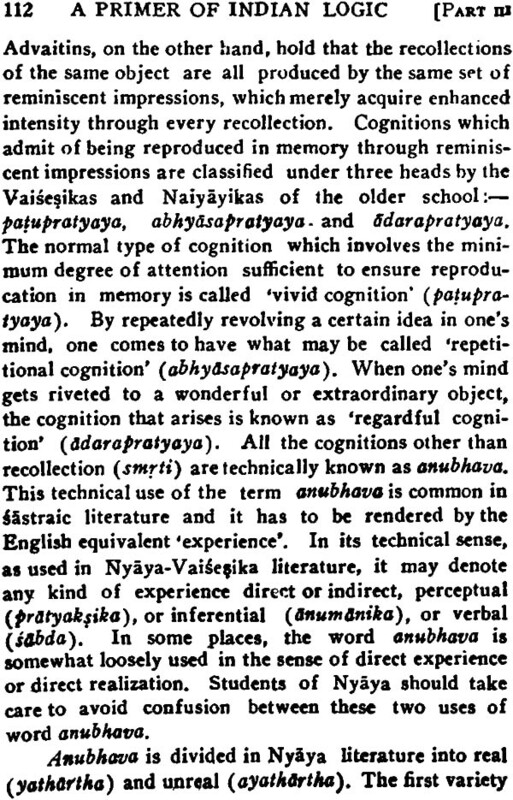 In preparing this book, the oft-quoted Sanskrit dictum given above was borne in mind. This book comprises three parts. Part I contains an historical introduction. Part II gives the Sanskrit text of the Tarkasamgraha in the Devanagari script and in English transliteration. Part III forms the bulk of this work and contains an English rendering of the Sanskrit text accompanied by a critical and comparative exposition of each topic in English. 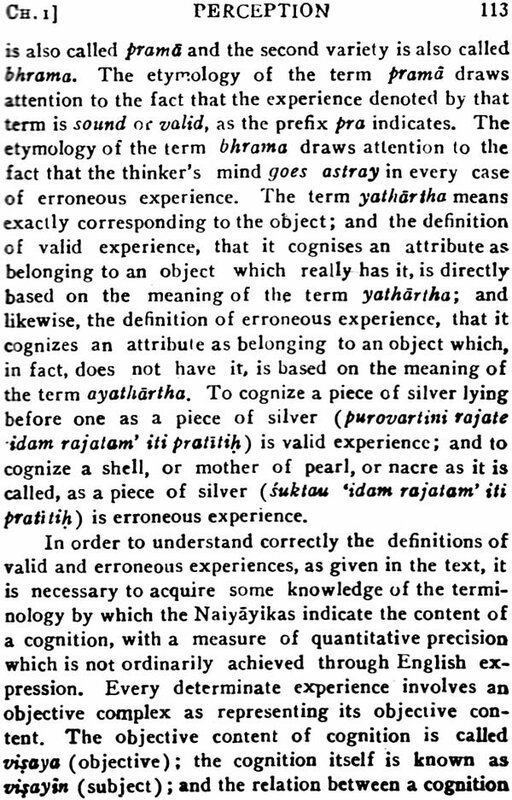 In this exposition, an endeavour is made to combine strict fidelity to the original Sastraic texts in Sanskrit with an intelligible presentation of the technical ideas of Indian systems of philosophy in an English garb. In the course of this endeavour, it has become unavoidably necessary to coin and bring into vogue certain technical terms, which, at first sight, look some what uncouth. Nearly two years ago, I undertook to write this book for the benefit of modern University students, more especially B.A. students offering philosophy as their optional subject, in compliance with a suggestion made by my esteemed friend, Prof. P.N. Srinivasa charier, M.A., Professor of Philosophy in the Pachai-yappa’s College, Madras. Messrs. P. varadachari & Co., Publishers and Book-sellers, 8, Linga Chetty Street, Madras, kindly undertook to publish this work. The printing of parts II and III was finished in January 1931 and these two parts were separately made available to students in the beginning of 1931. The complete work, with part I also and a very useful Sanskrit glossary, is now made available in a complete form; and in this form, it is hoped that it will be received well by all the students and scholars interested in Indian philosophy. 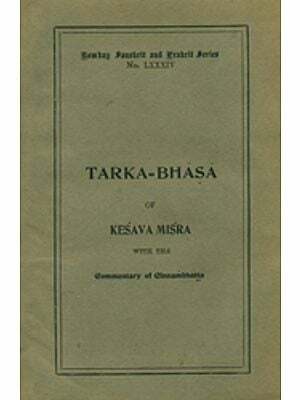 The bulk of the matter in this book is directly based on Sastraic texts in Sanskrit. In the course of the preparation of this work, I consulted well-known English books on Indian philosophy like Prof. Radha-krishnan’s ‘Indian Philosophy’, Dr. Keith’s ‘Atomism and Indian Logic’, and Dr. Randle’s ‘Indian Logic in the Early Schools’. My thanks are due, in particular, to two of my young friends and former pupils-to Mr. T.R. Chintamani, M.A., Senior Lecturer in Sanskrit, Madras University, for preparing the table of contents and the Sanskrit glossary, and to Mr. T. Chandrasekharan, M.A., (Diploma in German), Professor of History of Sanskrit Language and Literature, Madras Sanskrit College, and Manager, Journal of Oriental Research, Madras, for reading the proofs. I should also take this opportunity to express my thank-fulness to the Madras Law Journal Press, Mylapore, for its very kind and efficient co-operation in seeing this work through the press and to Pandit T.S. Subrahmanya Sastri (Sahitya-Siromani) of the M.L.J. Press for the alert and willing assistance which he rendered at various stages in getting me to do the work in the midst of my multifarious duties. The authorities of the Kuppuswami Sastri Research Institute have great pleasure in bringing out this second edition of the Primer of Indian logic by Prof. S. Kuppuswami Sastri, and publishing it on the occasion of the Seventh Foundation Day celebrations of the Institute founded in the name of the author. Dr. A. Sankaran, M.A., Ph.D., and Dr. V. Raghavan, M.A., Ph.D., were in charge of the work of bringing out this second edition. The corrections noted by the author in his own copy of the book preserved in the Institute Library have been incorporated here. Sri K. Venkateswara Sarma, M.A., was of much assistance in the reading of the proofs and seeing the work through the press. The thanks of the Institute authorities are specially due to Sri N. Ramaratnam, M.A., B.L., Proprietor, M.L.J. Press, for his continued co-operation in the work of the Institute. The Kuppuswami Sastri Research Institute has great pleasure in bringing out this third edition of Mm. Prof. S. Kuppuswami Sastri’s Primer of Indian Logic, demand for which has been growing. The Institute is thankful to students, friends and admirers of the late professor who contributed funds, and to Messrs Diocesan Press, Vepery, Madras 7, and Messrs Rajan & Co., Paper Merchants, Madras I, for their help in bringing out expeditiously this third impression by Photo Offset process.